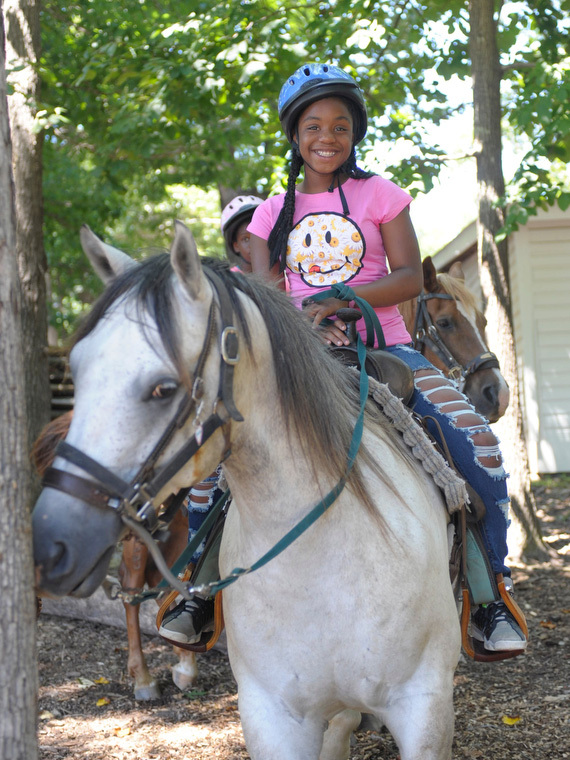 Volunteer opportunities are available at Dead Broke Farm if you are at least 13 years old or older. As you might imagine, a lot of work goes into running a horse farm. There's always plenty of work to be done, so we can always use extra help. It's hard work, but it's enjoyable and rewarding especially when you get to participate in helping to save the lives of some of the horses we rescue. What Are Volunteers Asked To Do? The types of things you'll be asked to do include: grooming the horses, tacking up, clearing trails, helping to maintain the pastures, oiling tack, de-worming, feeding and watering the horses, giving baths, and cleaning up horse poop from the tacking area. If you don't know how to do these things (and most of our new volunteers don't), we'll teach you. That's the huge benefit of being a volunteer. You'll learn more by volunteering than we would teach you even if you were paying for lessons, because in our lessons, we only teach you to ride - not how to de-worm a horse and how often; give necessary vaccinations; what to feed, how much, and how often; recognize when they're sick; know what to do in a situation where a horse is colicing or injured; and when to call the vet. If you work full days, you'll get to ride for at least one hour each time you volunteer. However, if you choose to work half days, you will be allowed to ride at least one hour every other time you volunteer. 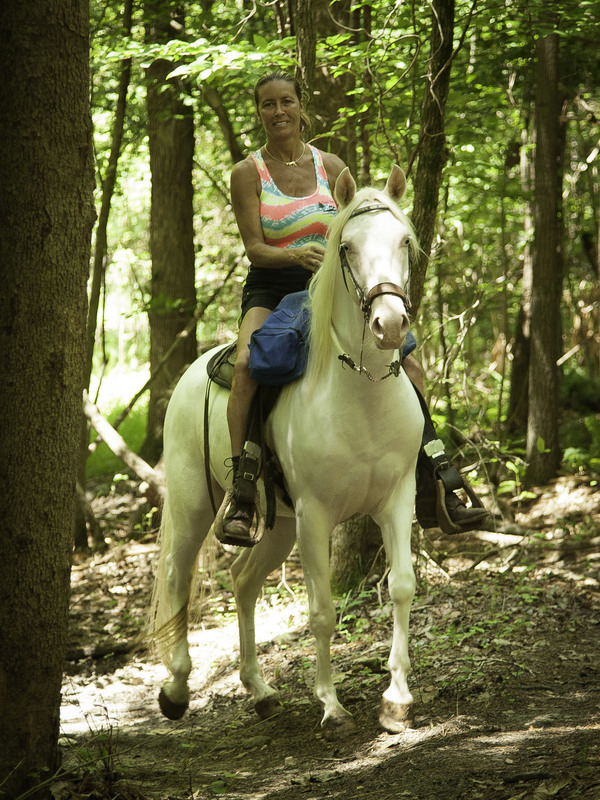 After you've become an experienced rider through the free riding privileges that you earn as a volunteer, you'll be asked to give the riding demonstration before the start of our trail rides, help guide some of the trail rides, and give beginner riding lessons. The better rider you become, the more you'll be asked to ride since you'll be capable of helping us ensure that our customers have a safe and enjoyable ride. And there are additional benefits to volunteering that aren’t as obvious. For instance, your balance, strength, and coordination will improve. 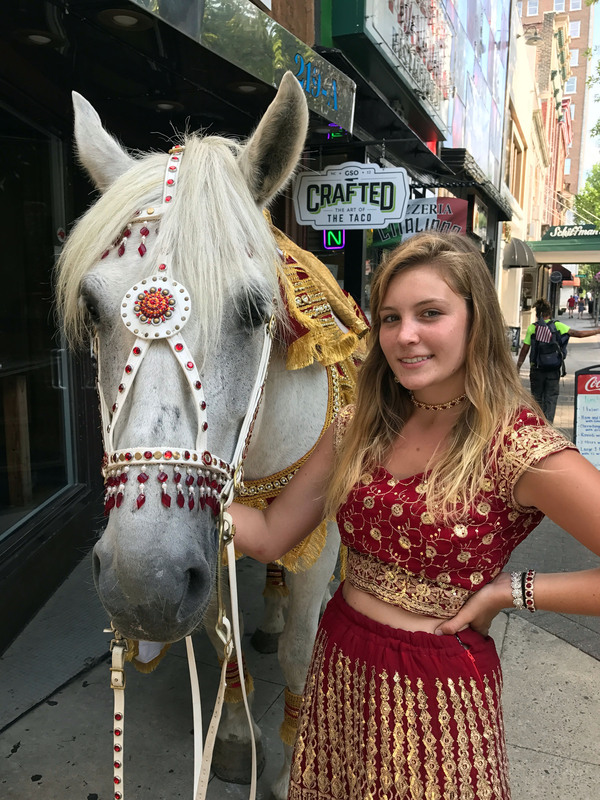 You’ll become more confident when you become a proficient rider and are asked to give the riding demonstration because you will be sharing skills and knowledge with people who are eager to learn what you can teach them. You’ll also become more comfortable with speaking in front of an audience since you’ll need to maintain eye contact with the people who are watching the demonstration, and you’ll need to project your voice so that everyone can hear you. In short, you’ll become comfortable with public speaking, which will result in a huge boost in your self-confidence. Many of our volunteers lose weight and become more fit due to the physical nature of the tasks they perform such as: carrying buckets of feed, making many trips back and forth to the barn carrying saddles and bridles, bringing the horses up from their pastures, and riding. We are looking for people who plan to volunteer on a regular basis. 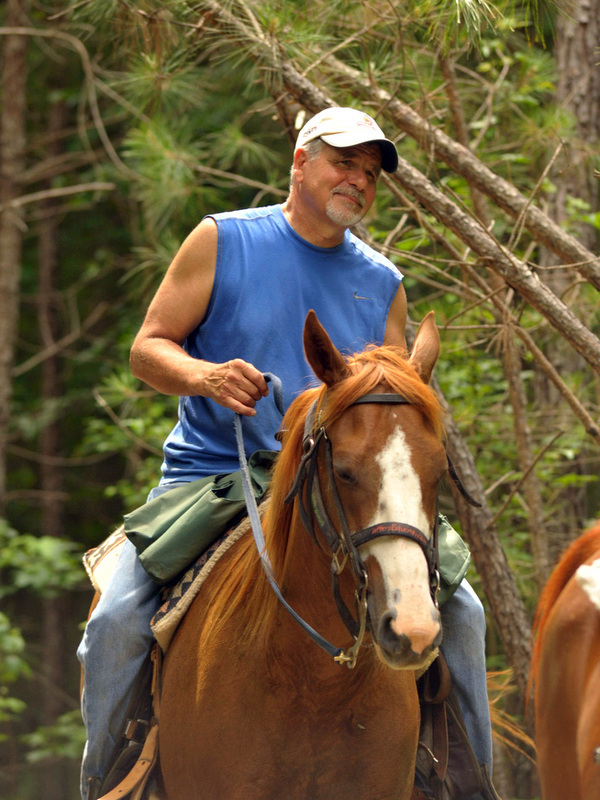 We don't accept volunteers on a casual basis because it doesn't allow time for you to learn our horses' names and dispositions, which pasture each horse belongs in, our trails, how to properly groom a horse, how to ride well enough to assist our customers on the trails when needed, and how we operate. We ask that our volunteers commit to a minimum of two full days a month. If this sounds like a program you'd be interested in, we accept inquiries by phone and email. You will need to pack your own lunch and bring plenty of water to drink each day. You'll need waterproof boots, and you'll need insulated, waterproof boots for the winter. Riding boots are best. For a nice selection, we recommend the Bull Chute Western Wear in Raleigh. They are located at 6602-6 Glenwood Avenue, and their phone number is (919) 782-2613. While we don't ask you to attend a formal orientation and training session, we do require you to watch the four training videos provided: 1) Saddling, 2) Bridling, 3) Mounting and Dismounting, and 4) Untacking. This is a critical step in becoming a volunteer because you will be expected to know the material when you arrive. A short quiz will be given to ensure you have absorbed the material presented in the videos. A passing score of 90% or better is required in order to begin working with our horses and customers.